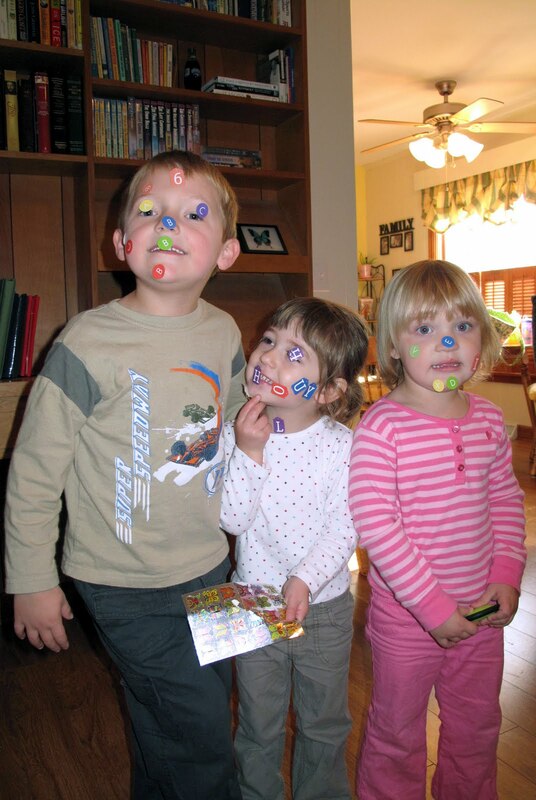 Putting stickers on their faces was their idea. [That’s Cate with her friends Noah and Emma.] Kids are funny when they choose their entertainment.